Gable appeared opposite some of the most popular actresses of the time. Joan Crawford, who was his favorite actress to work with, was partnered with Gable in eight films, Myrna Loy worked with him seven times, and he was paired with Jean Harlow in six productions. He also starred with Lana Turner in four features, and with Norma Shearer and Ava Gardner in three each. 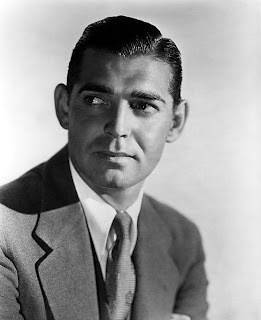 In the mid-1930s, Gable was often named the top male movie star, and second only to the top box-office draw of all, Shirley Temple. Gable died in Los Angeles on November 16, 1960, aged 59, from a coronary thrombosis ten days after suffering a severe heart attack. There was much speculation that Gable's physically demanding role in The Misfits contributed to his sudden death soon after filming was completed. In an interview with Louella Parsons, published soon after Gable's death, Kay Gable was quoted as saying "It wasn't the physical exertion that killed him. It was the horrible tension, the eternal waiting, waiting, waiting. He waited around forever, for everybody. He'd get so angry that he'd just go ahead and do anything to keep occupied." Monroe said that she and Kay had become close during the filming and would refer to Clark as "Our Man", while Arthur Miller, observing Gable on location, noted that "no hint of affront ever showed on his face". Others have blamed Gable's crash diet before filming began. The 6'1" (185 cm) Gable weighed about 190 pounds (86.2 kg) at the time of Gone with the Wind, but by his late 50s, he weighed 230 pounds (104.3 kg). To get in shape for The Misfits, he dropped to 195 lbs (88 kg). In addition, Gable was in poor health from years of heavy smoking (three packs of unfiltered cigarettes a day over thirty years, as well as cigars and typically at least two bowlfuls of pipe tobacco a day) and periodically taking amphetamines to lose weight, which gave him head tremors. Gable is interred in The Great Mausoleum at Forest Lawn Memorial Park in Glendale, California beside his wife, Carole Lombard.